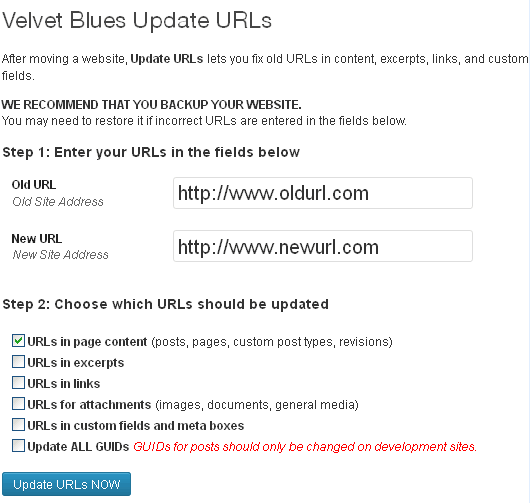 Velvet Blues Update URLs is very useful plugin when it comes to fixing mixed content. This plugin will actually update old URL to new URL in page content. If you move your WordPress website to a new domain name, you will find that internal links to pages and references to images are not updated with new URLs. Instead, these links and references will point to your old domain name. This plugin fixes that problem by helping you change old URLs in your website. However, be careful with this plugin! If handled incorrectly, they can also screw up your site. Good thing you made the backup earlier. Just in case something goes wrong, you can easily replace your old database. It will be very useful when you install SSL on your WordPress site because after that you need to update HTTP links to https. These all files path might be in HTTP in your website that you need to update. Step1: In the first field add old URL that you want to change just like http to https. And in the second field add new URL that you want to be. Step2: In the second step, choose which URLs section need to update. You can select all items to update the links. Once you have done with settings. click on update URLs now to update URLs. Next it should respond with a message at the top notifying you of what would have been updated. Please Note: Changes are irreversible. 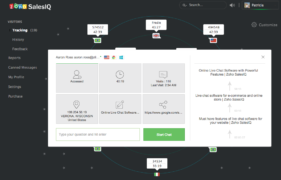 If you haven’t used this plugin before, please back up your website before proceeding.